histroy to cruise through to the Big Brother Finale this Afternoon. The Ghanaian managed this stunning cop following a convincing display the head of house task. 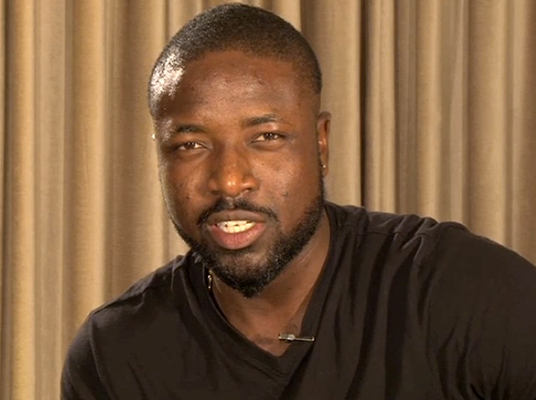 Elikem is not up for possible eviction this week, which means he is going anywhere on sundae. On Monday, the Ghanaian will take up his sheriff badge till next week Sunday. Thereafter, it will be all system go for the finale. Before Big Brother made the HoH announcement, a hush fell over the lounge where the housemates were gathered. It was clear something big was going to happen. As soon as Big Brother roared ''Next week's head of house is Elikem'', his fellow house mate congratulated him on his feat.
'' I wish i was in your shoes. Congratulations man. I'm sure your country is proud of you, '' Dillish said, while Feza told him '' Look at you being so quiet. This is a first. You are supposed to be making noise, '' the Tanzanian said. Elikem then opened up to his fellow chase mates as the realisation of making histroy dawned on him.
'' If I wasn't swapped this week, I will be the first Ghanaian to make the Big Brother finals,'' Elikem said.